Almost a year ago I succumbed to a steadily growing curiosity and got myself a Hasselblad 500c kit, it's so pristine, so beautiful that at times I've almost been put off using it!!! It was around this point that I truly began to appreciate the merits of the MF negative, one could almost start to question why anyone would shoot 35mm but the truth is that both have their place. More recently, well about 3 months ago I had a chance encounter with a Contax 645, the writing was on the wall in a matter of minutes, this is quite possibly one of my favourite cameras at the moment, I will hopefully be able to show some images from this in the next few months but my progress with it has been hampered to a greater degree by the scanning dilemma I found myself in. The story doesn't end there however, I seem to be driven by what can only be described as an almost feverish curiosity at times, cameras that I missed out on because I just wasn't interested at the time now fill me with a sense of wonder and an overriding desire to master them!! Should I ever find adequate time to use them that is.........two weeks ago the Mamiya RZ67 Pro II arrived. I'm always looking, always thinking and sometimes just daydreaming about cameras and photography but despite that and everything I've written above I have always been able to resist the temptation of large format, until yesterday!!! I've been researching this for some time and comfortably setting it aside in my mind, more recently I've been quizzing those people I know who have already taken this step. It's probably the most random thing I've done on my photographic journey of discovery, well certainly one of them!! 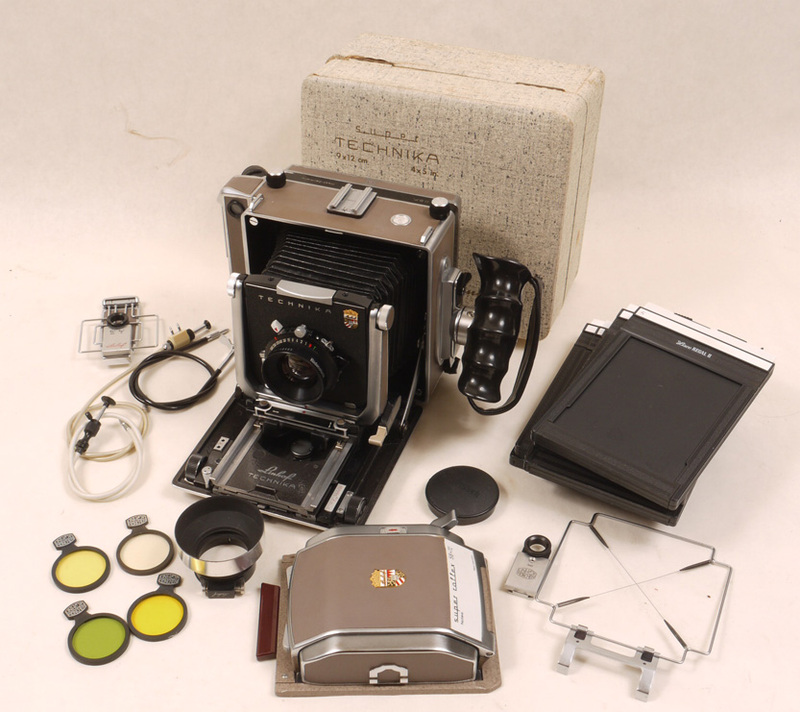 I don't have it yet but I am now the proud owner of a Linhof Super Technika V kit, I won't go in to great detail but I'm hoping to use this for both landscape and portrait work. So from 35mm to 6x6, 6x4.5, 6x7 and now 4x5.........hopefully this will satisfy my curiosity but I've learnt to never say never. I'd love to hear your thoughts and experiences with any of these photographic formats, good, bad or indifferent. PS. Some say I have a problem buying cameras, I say it's not a problem it's actually quite easy! !